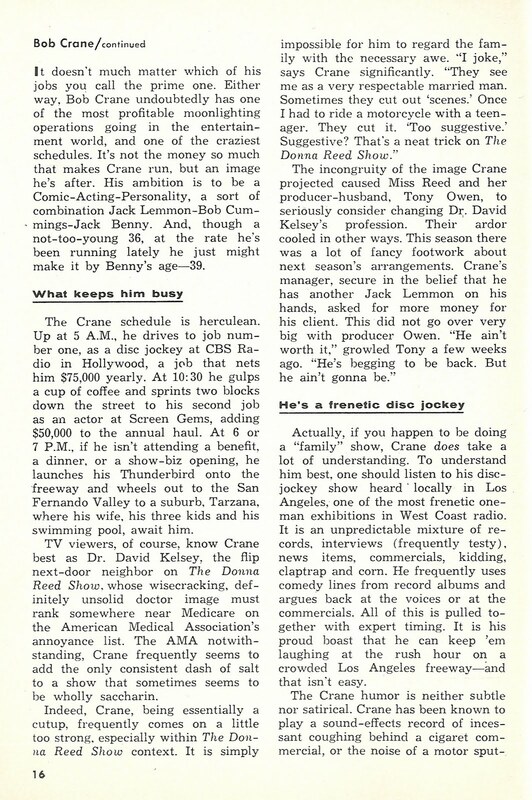 Because of his extensive work in radio and television, Bob Crane was often featured in trade magazines and newspapers. 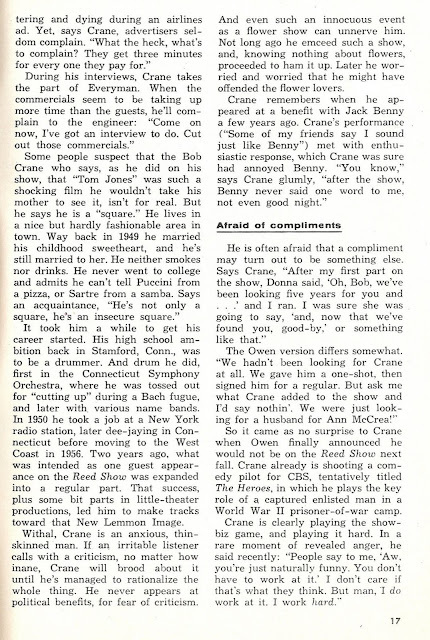 This article, which ran in the February 27, 1965, issue of TV Guide, explains Bob's successful career in radio, his desire to act, his role of Dr. Dave Kelsey on The Donna Reed Show, and his "frenetic" schedule of holding down two very high-profile and demanding jobs (he worked at KNX and The Donna Reed Show simultaneously) over the course of two years. 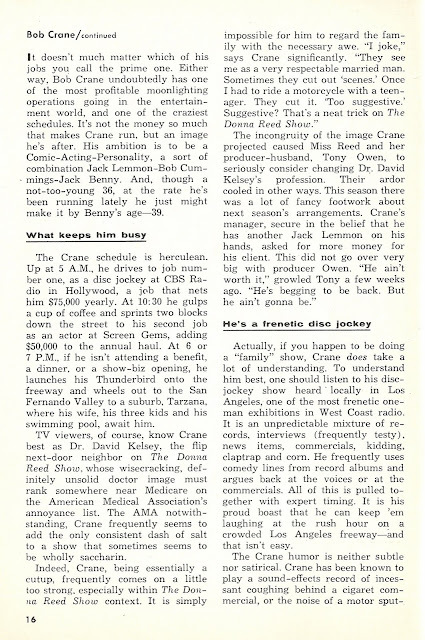 Overall, this article is fairly accurate, with a few exceptions, one being the reason why Bob Crane left The Donna Reed Show. 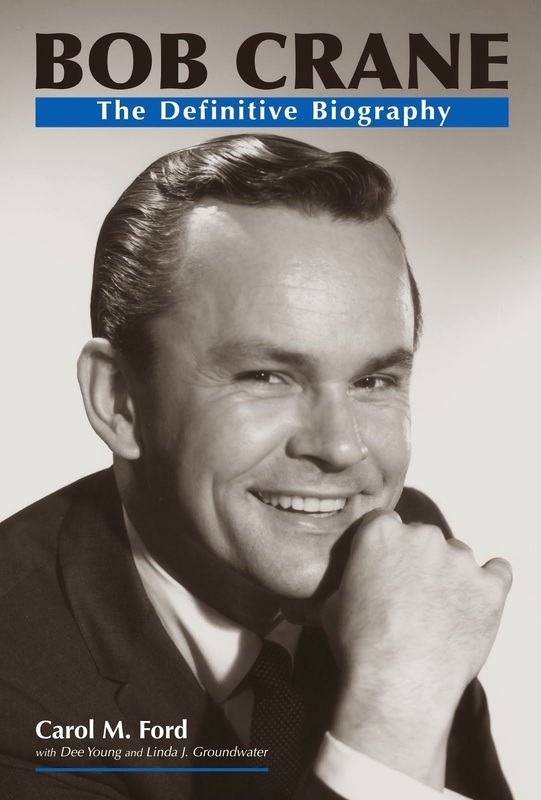 Whatever the rumors, the simple fact is that Bob left The Donna Reed Show merely because he was offered the role of Colonel Hogan on Hogan's Heroes. Further, Bob was not as under-educated as the writer of this article states, and whether Bob was insecure about himself or not, he was, without question, very intelligent. Bob loved his work in both radio and acting. He worked hard at everything he did, and he was a perfectionist. Well-skilled in the art of self-depreciating humor, Bob also often ridiculed himself first before anyone else. He did this so well, in fact, that his "jokes" occasionally became "fact." For instance, Bob's high school classmates recall that he used to kid around, saying he never graduated from high school. 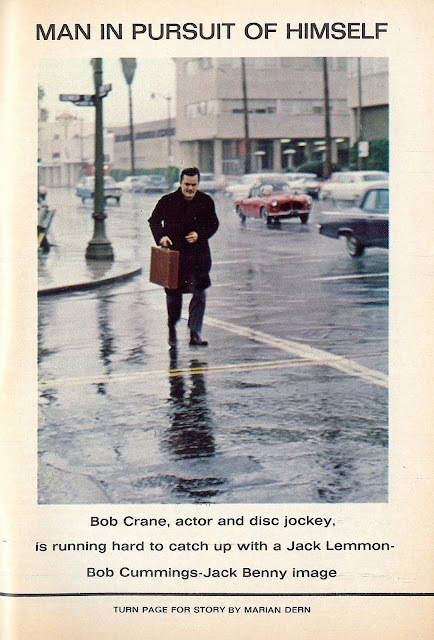 Somewhere along the way, the statement that Bob dropped out of high school became a matter of record even though he actually graduated in 1946 and later took a course in radio station operation at Bridgeport University in 1949. This is just one of countless examples of how Bob's life history has been badly distorted in recent years. 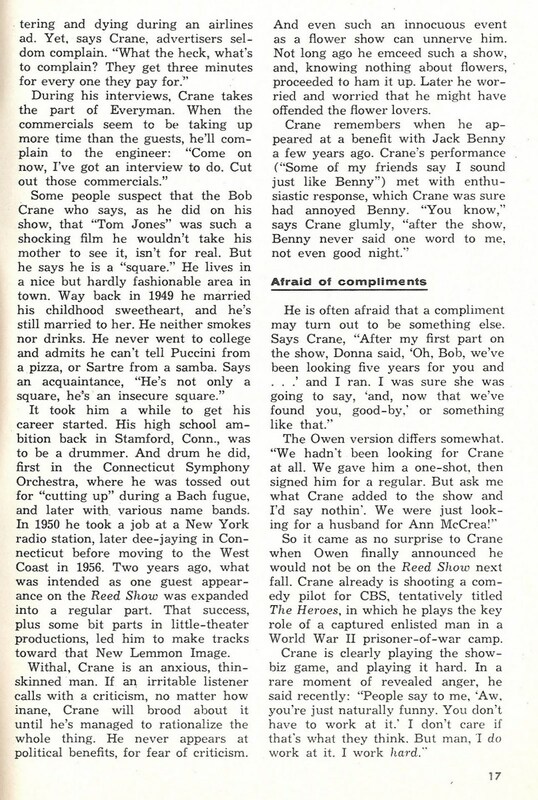 At the end of this article, Bob shares his feelings regarding what other people thought of his work in radio and the entertainment business. He says, "People say to me, 'Aw, you're just naturally funny. You don't have to work at it.' I don't care if that's what they think. But man, I do work at it. I work hard." 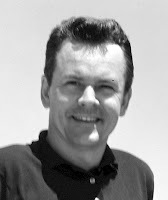 Will the Real Robert Hogan Please Stand Up?